While talking of mens suit guide, the facts and the responsibility inevitably points toward the internet. 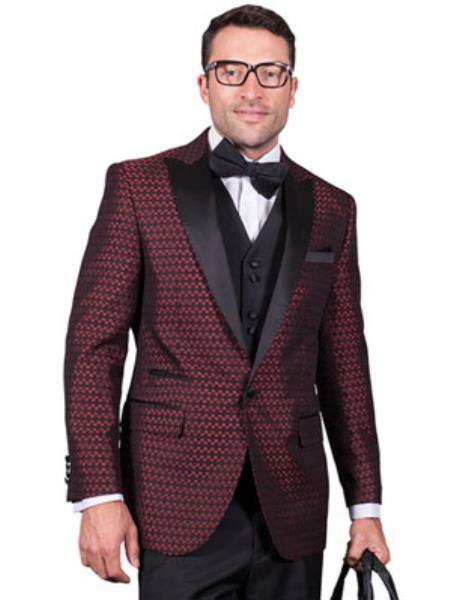 The internet is a valuable guide in all matters, and is definitely not an exception while choosing mens suits. 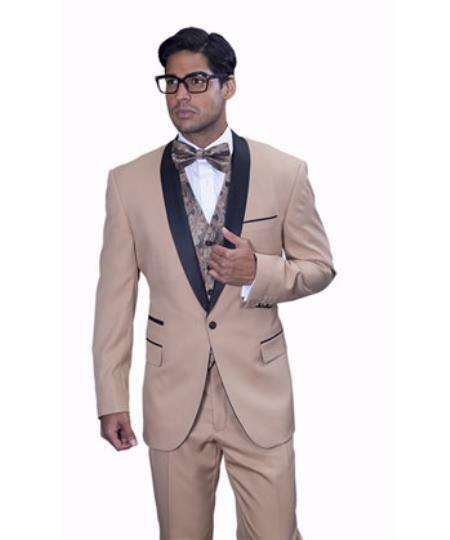 There are multiple aspects to consider while choosing the right suit and all these aspects can be obtained from the internet. The internet hosts a comprehensive source of info regarding all the aspects of choosing a suit and you should be deriving this info in order to choose the right suit for your formal event. In fact, this is what you are doing right now, at this very moment, deriving info from the internet and putting it into practical use. Your mens suit guide would tell you that suits are essentially single breasted ones and double breasted ones. The single breasted types do not have overlapping flaps whereas the double breasted types have flaps that overlap and are required to be mandatorily buttoned. As for buttoning, it is not a requisite criterion for the single breasted suits. As if to stress upon this apparent unimportance of buttoning in single breasted suits, they are often provided with a single button, which may or may not be kept buttoned. The single breasted jackets may have two to four buttons also but not more than that. However, the four button single breasted suits are not preferred by the most fashion conscious among men, as the traditional norm is to have one to two buttons in a single breasted suit. Even if there are more than one button in the single breasted jacket, the norm is to keep the lower button undone. On the other hand, the double breasted suits have four to six buttons. Eight button double breasted suits are also available where four buttons are arranged in two columns. Apart from the single and double breasted classification, your mens suit guide would also inform you that the suits can be either two piece suits or three piece suits. In the three piece variety, the suit ensemble has an extra waistcoat along with the jackets and the trousers. You may or may not choose to wear the waistcoat; it is completely your choice. Some men prefer to wear the waistcoat, and some men do not. There is also something else called the cummerbund which is worn with formal suits like the tuxedos. However, it is a big fashion mistake (very big in fact) to wear both the waistcoat and the cummerbund. Finally, your mens suit guide would also tell you about the three different kinds of lapels. These three kinds are the notched lapel, the peaked lapel and the shawl type of lapel. Although general suits almost always have either of the notched and the peak lapels, yet you would have to essentially decide upon the type of lapel that you would like to see in your suit. The notched lapel is the traditional one whereas the peaked lapel is the most formal one. The peaked lapel is generally found in double breasted jackets, as it is very difficult to create a peaked lapel in single breasted jackets. But that is the reason, the challenge of it, why many men prefer to wear single breasted jackets with peak lapels.